Time for my weekly nail update!! 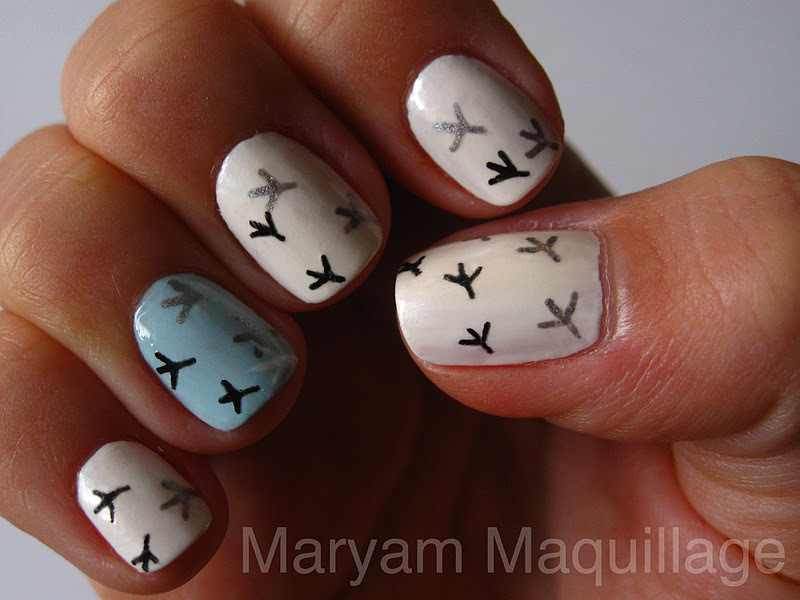 This wintry nail design was envisioned by my papa and created by moi. My dad is a poster artist and graphic designer, so he's always giving me funky and original (nail) art ideas. This "snow tracks" nail design is simple and easy to create, but with enough interest to make someone look twice and appreciate your mani. Best part--it goes with everything!! 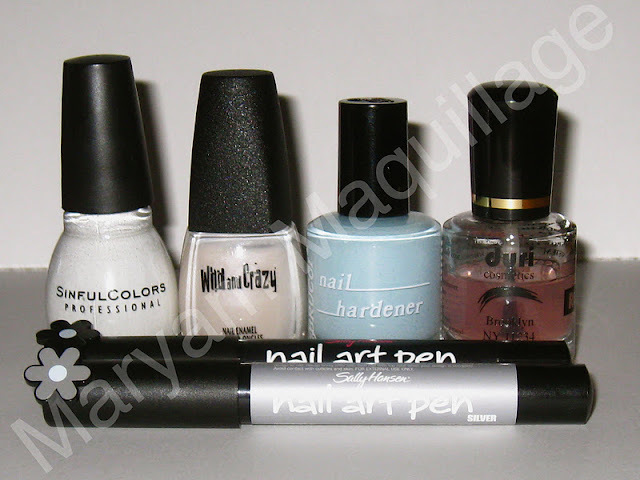 nail art so easy to paint that even my "other hand" came out perfect! 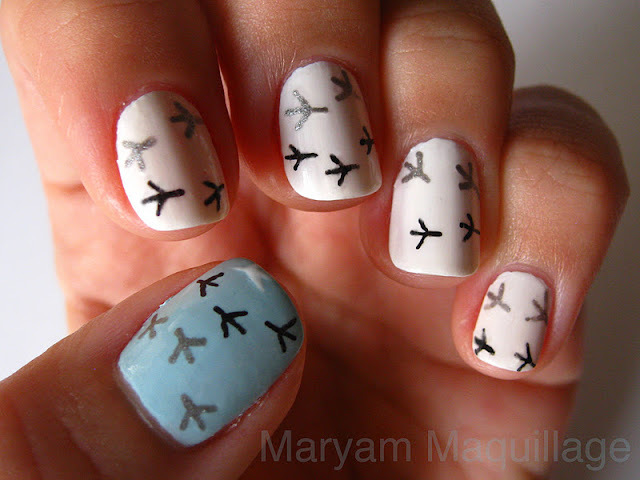 This is such a cute idea, and totally nail art even I can do! lol! Oh my god - are you kidding me. I just had a heart attack from the cute overload!! 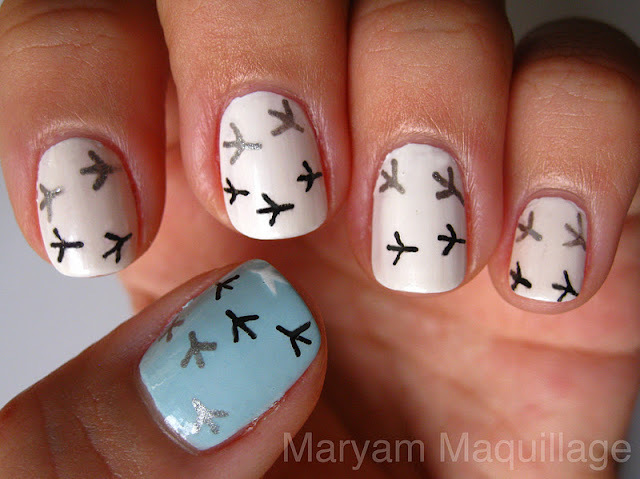 This nails are so awsome! Cute and as you say very easy! i get inspired looking at your nail polish creativity! YOU'RE SOO FREAKING AMAZING WITH HAIR AND NAILS iM SOO GLAD I FOUND YOUR BLOG SOO INSPIRING YOU ROCK!!!! Never knew that Nails can be so Cool,Creative, Fashionable, Revolutionary & Sensational! Great post.Looks like airplanes flying in formation on Independence Day. ahhah thats very nice and creative!!! How sweet of you to stop by. I'm guessing you live in NY area, if you do well you can always stop by union square there's a place called Wigs+Plus and they sell lots of NYX products. I agree about the smell, but doesn't bother me as much anymore. I live in Brooklyn, i want to go to NJ to Ulta but that would be a long ride...what do you think? is it worth the ride there? Ordering online with them was the biggest mistake. Awwww that is SO cute!! Love your blog and make up! take care. greetings from Italy. would love if you checked out mine and followed. This is such a cute idea!! I love how unique your nail art ideas are, I've never seen anyone else do something like this before!